For students of Class VII at the Nagarjuna Vidyaniketan Yellahanka. Dr Debmita Dutta was invited to judge the annual speech contest organized by the People First Leadership Academy held at the BGS National Public School - Banerghatta Road on 29th Aug 2015. The event was sponsored by Vedantu.com and had 106 participants from 18 reputed Bangalore schools. Workshop on "Studying Smart - Utilizing the brain effectively" for students of Class 11 of The St Joseph's Boys' High School Bangalore on 26th June 2015. The St Joseph's Boys' High School Bangalore invited Dr Debmita Dutta as chief guest and speaker on the 19 June 2015 at the Annual General Body Meeting of their Parent Teacher Association. 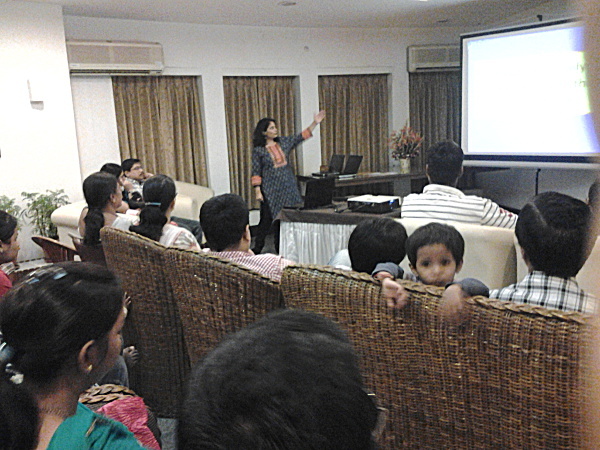 She conducted a workshop on "Effective Parenting" at the event. Two workshops for Eurokids Brookfields on 13th June 2015 "Preparing to Parent a Preschooler" and "Supporting Learning in school - what parents should know"
Workshop at Salarpuria Greenage, Bommanhalli - Hosur Road organized by Tiny Steps on 31st May 2015. Workshop at the BEL Officer's Club on 30th May 2015 for Eurokids Vidyaranyapura run by Santoshi Singh. Workshop on Decoding the Balanced Diet for Eurokids Yelahanka, Eurokids Vidyaranyapura and Eurokids Vignananagar. Workshop on Facilitating Learning in an Early Learner at the Esteem Convention Centre for Eurokids Yelahanka and Eurokids Vidyaranyapura. Workshop on Creating Environments that help children learn at the Esteem Convention Centre for Eurokids Yelahanka and Eurokids Vidyaranyapura. Workshop on Prevention of Childhood Sexual Abuse - what parents should know at Eurokids Vignananagar. 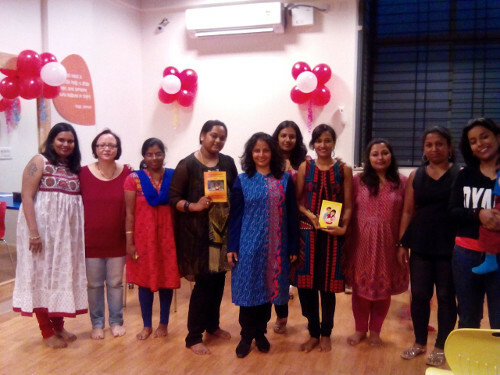 Book launch of Before the First Breath - The Memoirs of a Newborn at Magic Threads at the anniversary celebration of Momz Space. 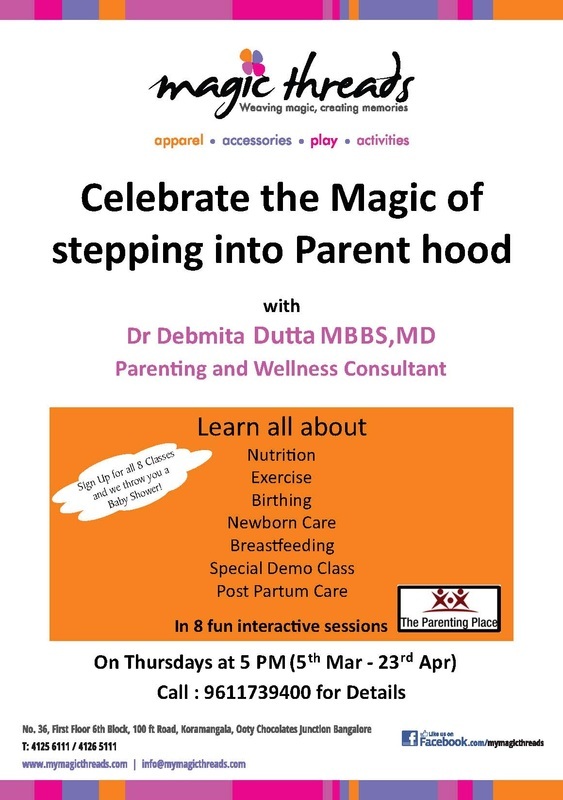 Workshop on How to Parent an Adolescent at Godrej Woodsman and Purva Venezia - sponsored by Trio World School. Workshop on How to handle a Picky Eater at the Tata Motors Club Jamshedpur.